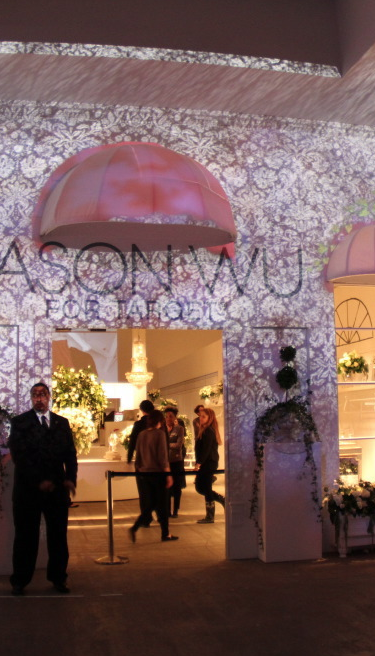 For a single evening in January of 2012, Skylight Soho’s 18,000 square foot gallery space in New York City was transformed into a whimsical French street scene for the launch of fashion designer Jason Wu’s new clothing line for Target. 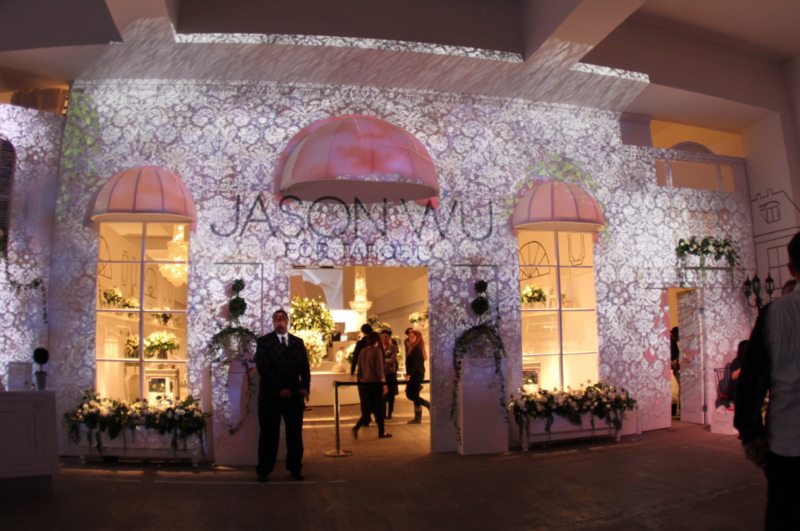 The scene included hand-painted wall illustrations, animated video projections mapped to three-dimensional façades, and window boxes overflowing with white roses. META sculptural projection mapping artist CTRL mapped three-dimentional façades and animated video projections of Milu the cat on to the buildings. Milu is the collection’s feline mascot and she represents the line’s feminine and stylish sensibility. Milu walked along the windows, watched the tower’s clock, and played around the shop area. The use of projection mapping gave life to Milu the cat and converted white walls from black and white paisley prints to multicolored gradients. Event Design and Production by Extra Extra, an event-planning and branding affiliate of Paper Magazine.